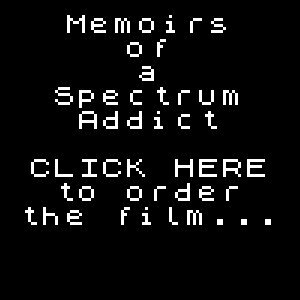 The premiere for Memoirs of a Spectrum Addict is being held at The Centre for Computing History in Cambridge, UK on 1st July 2017. There will be some very special guests, including many of the stars in the film – Jim Bagley, Steve Turner, The Oliver Twins, to name but a few, along with a bar provided by Lord Conrad’s Brewery of Cambridge! It promises to be a very special occasion and YOU can win TWO tickets to the premiere! Simply email your name, address and favourite Spectrum game to andyremic@outlook.com to be entered into a prize draw! Simples! (Closing date Monday 26th June 2017 at 1pm).